Corporate attorney, Scott Ellis, has joined the Dallas office of global law firm Greenberg Traurig, LLP as a shareholder. 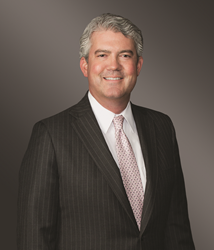 Corporate attorney Scott Ellis has joined the Dallas office of global law firm Greenberg Traurig, LLP as a shareholder. Greenberg Traurig has more than 125 attorneys in Texas and is tactically expanding their presence in the state; serving clients from offices in Austin, Dallas and Houston. Previously, Ellis was with Winstead as a shareholder. Ellis focuses his practice on the representation of companies, private equity funds, family offices, and other financial sponsors in strategic initiatives and transactions, including mergers and acquisitions, equity structuring, securities offerings, restructurings, and the financing of portfolio companies. He also advises real estate funds and developers in a variety of transactions, including joint ventures and related transactions. Ellis received both his J.D. and M.B.A. from Southern Methodist University in 2004. He received his B.A. from the University of Texas at Austin in 1998.